No results to feedback this week, as I had a weekend without karting. 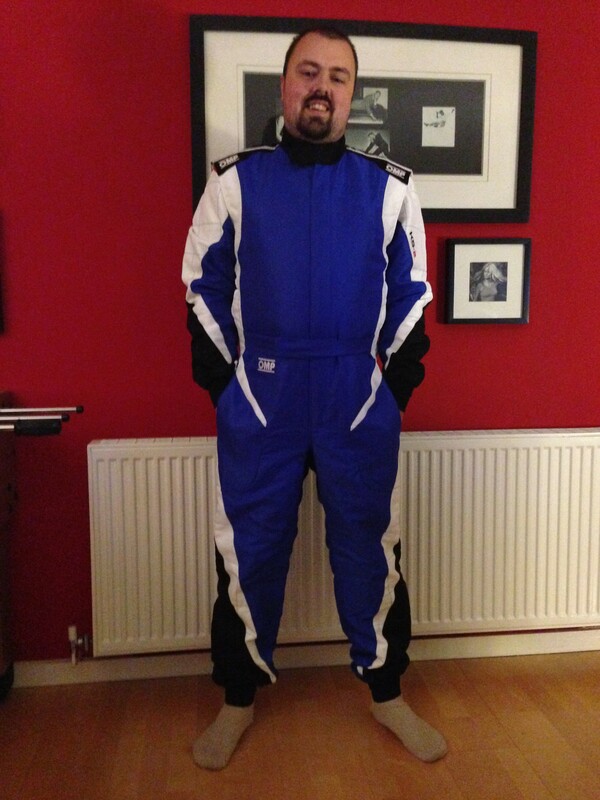 But still some great news; I now have my very own racing suit! It fits like a glove and whilst I haven’t tried it out in anger yet, it feels amazing in comparison to the rental ones I have been wearing week in and week out. I doubt that any difference will be made to my PBs in wearing this suit, but with this suit, my white helmet, and my karting gloves, my kit is almost complete and I look that little bit more professional when I’m in the kart. Hopefully, there will be a karting times update by next week, but life is getting quite busy with a variety of different events and social visits in the lead up to Christmas. With regards to the BRKC, today I confirmed my practice session on the Friday… I will be practicing in the third session that runs from 4pm to 7pm. Closer to the time, I will link to the live “TV” coverage of the weekend, so you guys can shout and support me wherever you may be!